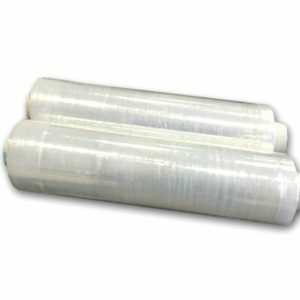 J4 Packaging stock a range of stretch film clear pallet wrap either with a standard core or an extended core which are available in a range of sizes. Our stretch film is strong, it is used for securing palletised loads of any size but can be used for general packaging and storing purposes too. Clear pallet wrap protects the object from humidity and dust and other damaging external conditions. Standard core stretch film rolls are usually used together with pallet wrap dispensers; meanwhile, extended core stretch film wrap rolls can be easily handled manually because of the extended cardboard core on both sides. The extended core stretch film lets you handle the pallet wrap more comfortably. Stretch films are transparent so barcodes and labels of wrapped goods can be easily read. Pallet wrap is also adhesive to itself which means there is no need to use extra sealing products such as glue or cello tape. We can offer wholesale discounts for quantity orders across a range of our packaging products, please call our Birmingham offices today on 0121 558 6600 for a FREE quote today. Our lines are open Monday to Friday from 8:00am till 5:00pm. High quality and heavy duty pallet wrap film can be used for packing a variety of products. 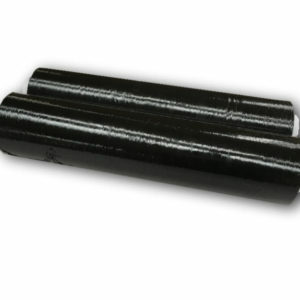 Ideal for securing and concealing heavy loads or other consignment.6 Rolls in a box.